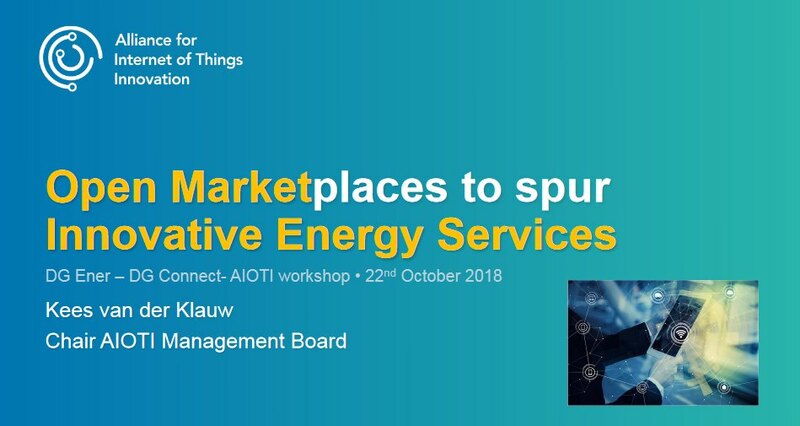 A workshop on Open Marketplaces to spur innovative energy services was held in Brussels on 22 October 2018, co-organised by the European Commission (DG Connect and DG Energy), AIOTI and ENTSO-E, with the aim of tackling opportunities through smart energy services based on the Internet of Things (IoT) for connected appliances, smart mobility, peer-to-peer (P2P) energy trading and smart utilities. The event expands from a European Commission seminar on internet of things (IoT) and blockchain technologies for home and energy services’, which was held in March 2018, and puts blockchain technologies into a broader application context related to the energy domain. It is part of a series of IoT events related to data marketplaces. ATOS and Engineering partecipated in the workshop, Massimo Bertoncini (ENG) had the speech “DLTs and Smart Contracts to increase smart grid flexibility”.